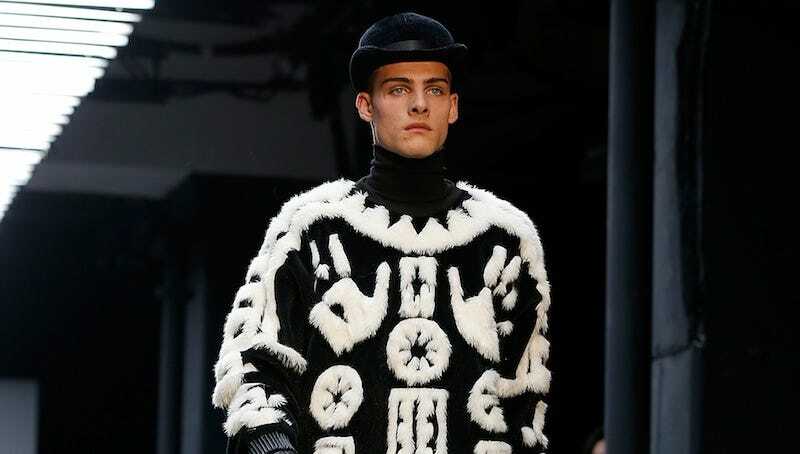 London-based fashion label KTZ has apologized to an Inuit woman after replicating a shaman robe worn by the woman’s great-grandfather without permission. The sweater, which bears a striking similarity to the sacred garment, was being sold for $900, but has since been pulled from stores and the company’s website. Salome Awa, a producer at CBC North, told the news station KTZ had issued an apology, but described it as bittersweet. “Over the last 20 years KTZ has always been inspired by and paid homage to indigenous cultures and tribes around the world,” an excerpt from the brand’s email reads. “We sincerely apologize to you and anyone who felt offended by our work as it certainly wasn’t our intention.” Awa believes KTZ should have contacted the family in the first place. “I’m not fully satisfied, they have not offered any monetary compensation from their gains,” she said. Awa says the label could have asked her family if they wanted the sweater’s proceeds to be given to a charity. KTZ has a history of appropriating designs from indigenous cultures. Other pieces from their Fall 2015 collection included a style that looked very similar to a design by a Northern Cheyenne/Crow fashion designer called B. Yellowtail. While the shaman sweater has been removed from KTZ’s website, other designs still remain, including ones featuring Inuktitut syllabics.